EvoLogics GmbH, experts in underwater information systems from Berlin, Germany, will proudly showcase the company’s recent developments at the Ocean Business 2017 exhibition in Southampton, UK, including new products, developer solutions and successful R&D efforts. EvoLogics GmbH from Berlin, Germany, designs and manufactures underwater communication and positioning systems as well as smart robotic solutions. The company’s core technologies stem from bionic concepts that fuse state-of-the-art engineering with the best ideas found in nature. 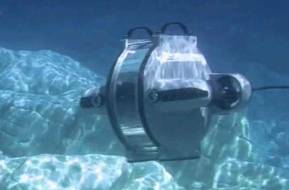 EvoLogics “ecosystem” of products includes several series of underwater acoustic modems, underwater positioning systems (USBL, LBL, SBL) as well as an advanced framework for developers. To meet the growing demands of the maritime and offshore industries, EvoLogics continuously revise and expand their line of commercially available products, adding to the list of available features and coming up with new configurations. The latest and biggest “under the hood” update is S2C 2.0 - at Ocean Business 2017 in Southampton, UK, the team will proudly present this boost to the very core of EvoLogics’ product family, the patented S2C spread-spectrum communication technology. EvoLogics reveal the S2C 2.0 after extensive research: enhanced with dynamic carrier arrangement, the wireless technology’s cutting-edge modulation and demodulation techniques aim to set new standards for reliable data transfers in highly dynamic subsea environment. S2C 2.0 devices are backwards-compatible with existing EvoLogics hardware and deliver a great performance in most challenging conditions. S2C 2.0 brings new additions to EvoLogics communication and positioning lines - the 18/34H with hemispherical beam pattern, as well as directional 7/17D and wide-angle 7/17W depth-rated long-range devices. Seamless system integration and interaction between different components of underwater infrastructure drive the development of new EvoLogics product features. Among the recent highlights is the multi-channel power switch for external devices. A modem with this optional protected circuit can provide power supply to up to 4 external instruments or sensors and turn them on/off on command. Commands to the power switch can be sent either over the data interface or remotely - over the acoustic channel, opening numerous opportunities for smart power management of deployed underwater equipment. Another addition to the power management options is the 2-channel Wake Up Module - an upgrade to popular built-in unit that turns the rest of the EvoLogics modem on if it detects incoming acoustic signals or incoming data. The updated version is now compatible with up to two serial data interfaces - now two sensors can be connected to the same underwater acoustic modem and “wake it” only when needed. Data from both sensors can be transmitted simultaneously, and the Wake Up Module will turn the modem off after the transmission is completed. To accurately synchronize the nodes of a distributed underwater acoustic network, EvoLogics developed a novel integration of a chip-scale atomic clock into its acoustic modems - the internal clocks of the network nodes are synchronized with GPS while on the surface, and maintain the desired high precision when submerged. The built-in chip-scale atomic clock is now part of the configuration options, offered for EvoLogics devices. 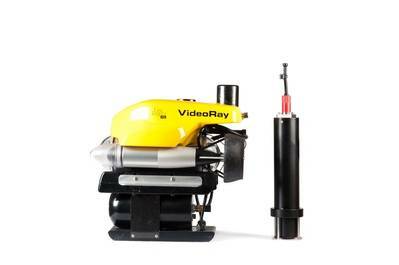 EvoLogics engineers worked on atomic clock integration within the framework of the WiMUST (Widely scalable Mobile Underwater Sonar Technology) R&D project, where collaborators focus on engineering an intelligent distributed underwater array of marine robots for seismic acoustic surveys. EvoLogics is proud to be part of WiMUST with the company’s hardware and software solutions. Development, research and innovation are the cornerstones of EvoLogics, and underwater “internet of things” that enables intelligent cooperation between various vehicles and sensors is one of the the main vectors of EvoLogics development strategy. Another exciting R&D effort is SWARMs (Smart and Networking Underwater Robots in Cooperation Meshes), an EU project focused on cooperative operation of unmanned underwater vehicles. SWARMs collaborators work on unified software and hardware components that will allow to link heterogeneous AUVs, ROVs and USVs into a smart multimedia sensor network for various automated missions. Laying out the groundwork for future innovation, EvoLogics recently came up with a new tool for developers - underwater acoustic modems in so called SDM configuration. Besides standard functionality, a SDM (Software Defined Modem) can transmit and receive acoustic signals with arbitrary waveforms and allow set a reference to trigger signal detection. This is a new opportunity to experiment with the physical layer of wireless acoustic communication. Last but not least, the company is proud to present its work on UUV integrations - EvoLogics developed a “plug and play” floatation block for VideoRay ROV , where a built-in “mini” modem serves as a transponder for accurate USBL positioning of the submersible. Ocean Business 2017 in Southampton, UK, will host the EvoLogics showcase from April 4th till 6th.